Arthur R. Swaim (who went by the nickname “Polly”) was born on October 9, 1894, in Davidson County, N.C., to Samuel Albert and Roelle Bodenheimer Swaim. Little is known about Arthur’s childhood, other than that he grew up on the family farm in Thomasville, N.C. His father Samuel Swaim was a blacksmith for much of his life, working as a farm blacksmith and later as a farmer. Arthur Swaim would enlist in the North Carolina National Guard at Thomasville on May 28, 1915. 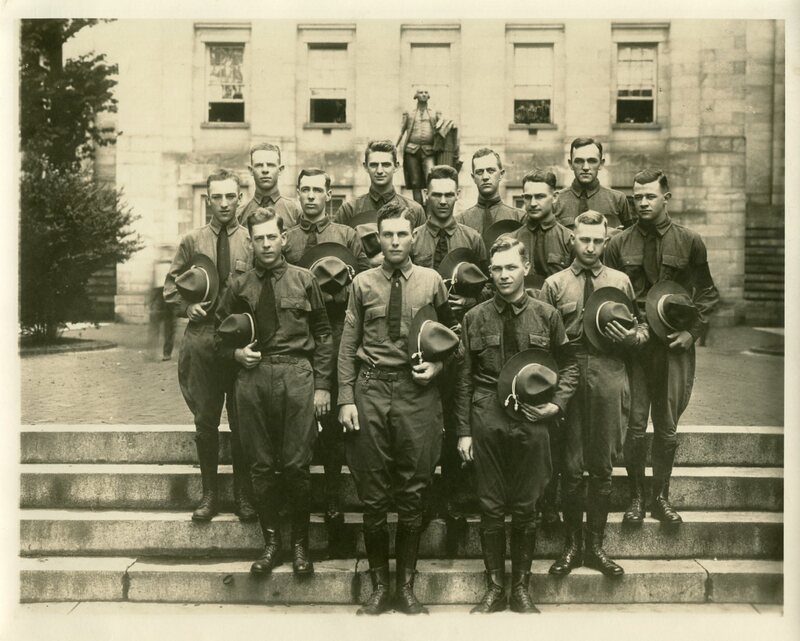 While he was serving in the National Guard, Swaim enrolled in Trinity College (now part of Duke University), and was a member of the freshman class in 1915. While at Trinity, Swaim had taken a German language class. When the North Carolina National Guard was called to the Mexican border on June 19, 1916, as part of the Punitive Expedition against Pancho Villa, Arthur Swaim entered federal service with his unit, Headquarters Company, 1st North Carolina Infantry Brigade (known as the “Tar Heel Brigade”). Swaim spent a number of months along the U.S.-Mexican border in Texas and New Mexico on border patrol duty. After the United States entered World War I, Swaim’s unit was called into federal military service. He would remain in the U.S. conducting training for service in Europe. Swaim reached the rank of Corporal on December 5, 1917; he would be promoted to Sergeant on March 5, 1918. Arthur Swaim shipped out with his National Guard unit—now federalized as Headquarters Company, 60th Infantry Brigade, 30th Division, U.S. Army—on May 17, 1918, for Europe. Swaim served overseas until April 10, 1919. During his time in Europe, Swaim was returned to the rank of Corporal on August 14, 1918. Arthur Swaim was honorably discharged in the United States from active military service on April 14, 1919. After the war, Arthur Swaim returned to Thomasville, where he would take up residency as a board in a family’s house. By 1920, he worked as a foreman at a furniture company in Thomasville. Arthur Swaim married Odessa W. Rice, his childhood friend and a woman he kept in touch with through correspondence during WWI, on January 10, 1924, in Thomasville. Odessa’s father Lee Rice was a dispatcher for the Southern Railway in Thomasville, and her mother’s father was a prominent businessman and furniture company co-founder. Arthur and Odessa Swam had their only child in 1925. Arthur Swaim became the Vice-President of the People’s Building and Loan Association in Thomasville. Arthur Swaim committed suicide on June 29, 1928, in High Point, N.C., and was buried in Thomasville. He was 33 years old. Arthur Swaim left his young wife to deal with an alleged large amount of debt to his employer, which resulted in a number of legal issues for Odessa Swaim to struggle through in order to survive financially as a widowed mother. Odessa Swaim would later remarry in the 1930s. 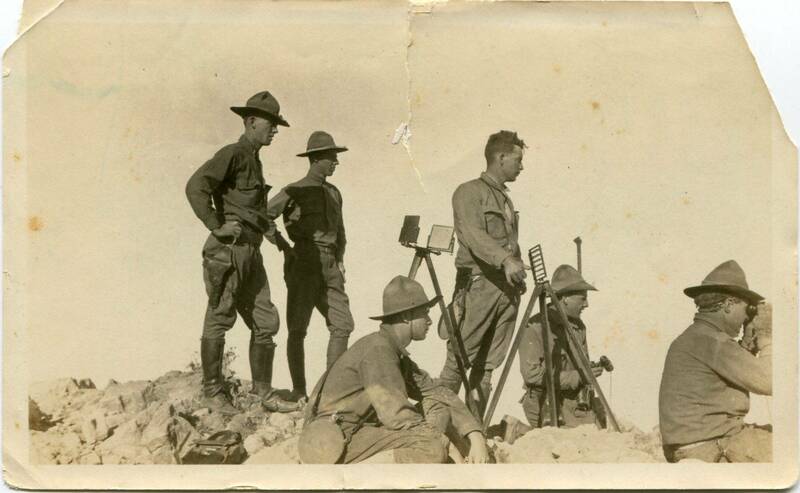 You can learn more about Arthur Swaim's WWI service by checking out the Arthur R. Swaim Papers (WWI 68) in the WWI Papers of the Military Collection at the State Archives of North Carolina in Raleigh, N.C.